We understand that flooring is greatly important to the value of your home or business. Neglect, improper care and everyday wear and tear can take its toll on your flooring. ServiceMaster Restoration by David R. Dean & Associates is your local expert in floor care. 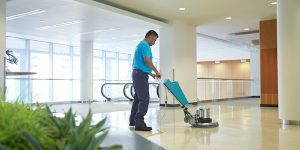 Our technicians are certified floor care experts, and we have the experience to maintain and improve the appearance of your floors. 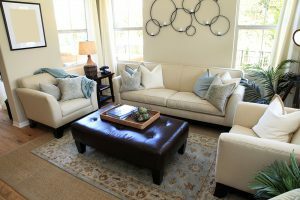 Keep your carpets looking great with regular and thorough cleaning from ServiceMaster Restoration by David R. Dean & Associates. Our business is backed by ServiceMaster Clean® and we have over 50 years of experience in cleaning carpets. Due to the porous nature of grout, it easily absorbs dirt and soil. Retail grout cleaners only clean the surface of the grout, but a stronger cleaning method is the only way to truly deep clean porous grout. We use specialized, high-powered equipment and products that remove and extract soil from deep within grout. Without proper cleaning, grout can become permanently discolored. Protect your investment with proper tile and grout cleaning from ServiceMaster Restoration by David R. Dean & Associates! Over time, every day wear and tear can gradually dull the appearance of your wood floors. Having your hardwood floors professionally cleaned is a less costly alternative. The key is to keep them in good shape before you have to go through the time, expense and inconvenience of sanding and refinishing. To keep your hardwood floors looking their best, count on ServiceMaster Restoration by David R. Dean & Associates.